Where’s the center of the world? 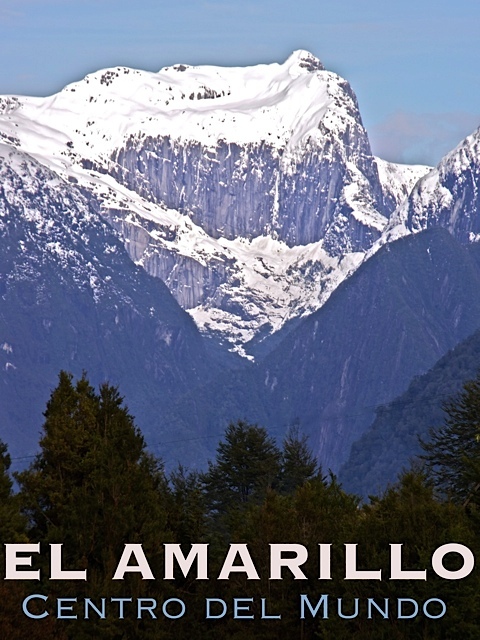 Signs tell us that it lies in the small village of El Amarillo, at the southern entrance of Pumalin Park. 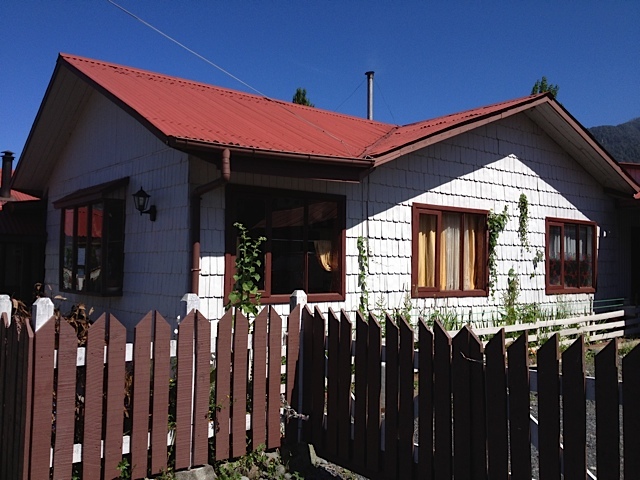 On the Carretera Austral just a few kilometers south of the volcano-impacted town of Chaiten, El Amarillo is becoming a hub for tourists to Pumalin—and a pleasant place to live for its 100 or so residents. Eight years ago, the Conservation Land Trust launched a village beautification project in El Amarillo, spearheaded by young local architect Marcela Ojeda. At the time, the village consisted of a few dozen houses, almost all rundown. 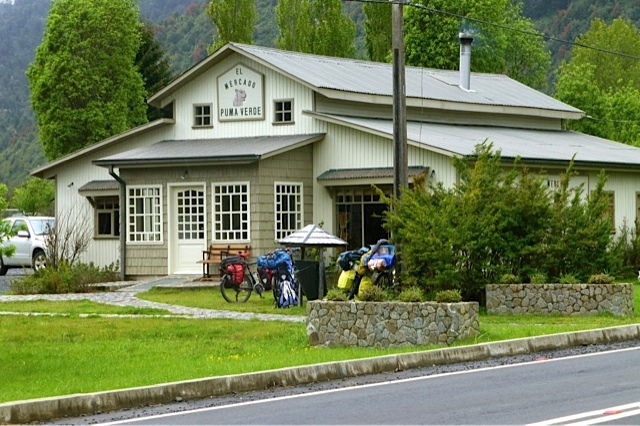 A few small markets sold basic goods, and a few houses had rooms for travelers to rent, but for the most part, tourists had to stop in Chaiten or further south on the Carretera Austral to find services. 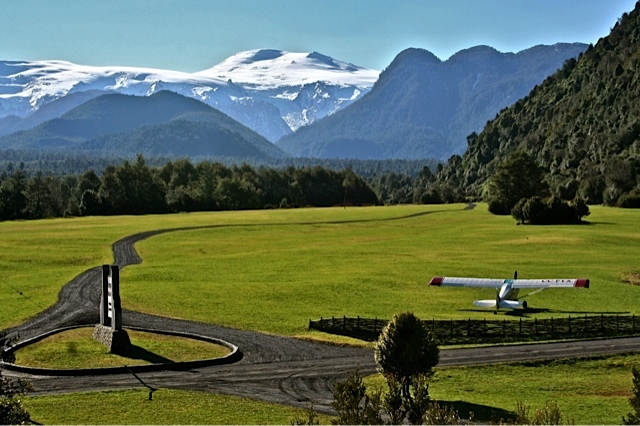 Although in a prime location—next to Pumalin, with phenomenal views of Volcan Michimahuida and the Tabiques Mountains—El Amarillo had not developed much of its ecotourism potential. Visitors would zoom past on the road, and many younger residents aimed to move away to find other opportunities. Since 2005, the village beautification project has worked with many families to put their houses in order, with paint, repairs, yard work, and landscaping. 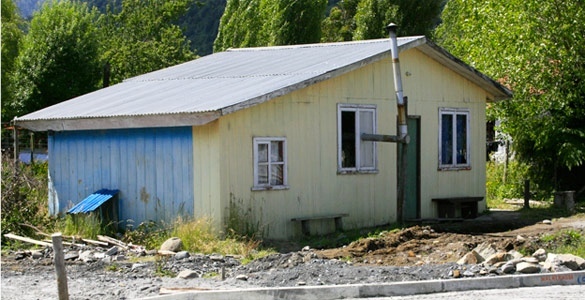 The Pumalin project sponsors the initial fix-up of houses, with the owners agreeing to cover maintenance and repairs in the future. The team works with families on the design and schedule of the repairs, and asks for their participation when possible. A bit of paint, carpentry and yard work can go a long way. Many of the seemingly unredeemable structures in town have been reborn as full-of-character homes with simple but well-planned facelifts. 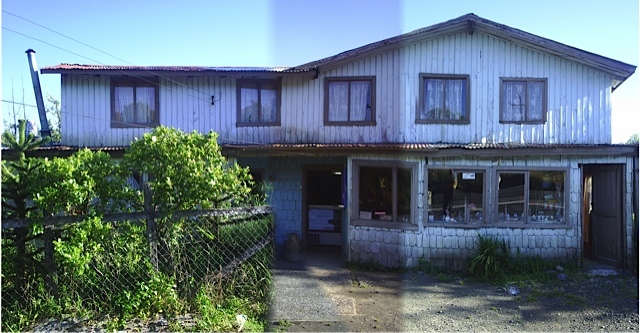 With help from volunteers from around the world, over a dozen houses in the village have been transformed. Meanwhile, the team has designed and constructed a new supermarket and gas station in town, to put El Amarillo on the map of tourist services in the region. 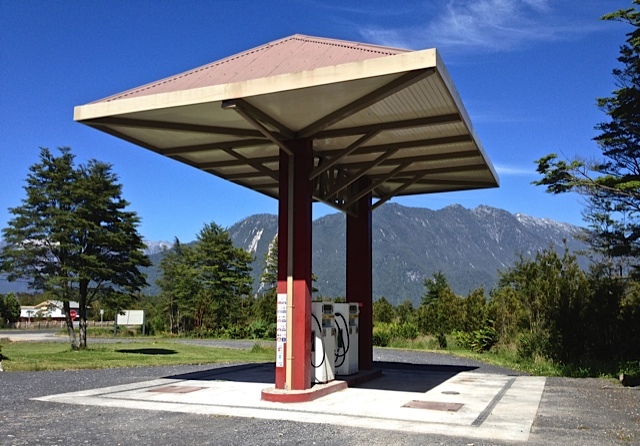 Running a gas station never topped the list of projects for conservationists before, but given the distance to the next place to refill, the station offers an important service, and draw for the community. 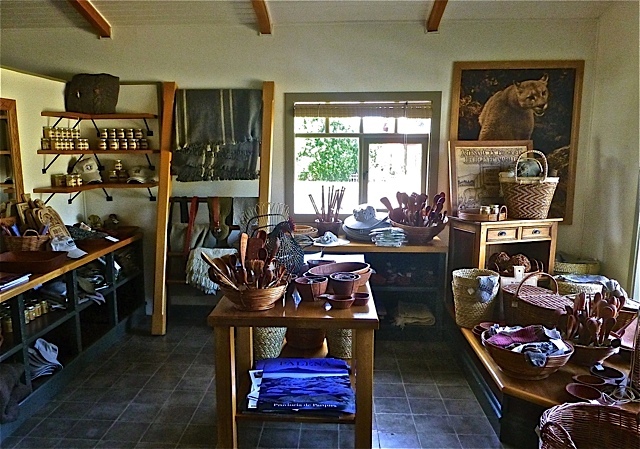 The supermarket carries a different variety of goods from those offered in the preexisting markets: hardware, organic vegetables, woolen goods, books, and souvenirs, among other items. The basic idea of the project, as Doug explains it, is to build house pride through simple fix-ups, painting, and landscaping. House pride extends to pride for community, as the whole village becomes more orderly and pleasant, and an appealing destination for visitors. As the foreground—houses, yards, and common spaces—grows more beautiful, locals and visitors alike can admire and savor the spectacular natural setting of the village, gaining respect for the wilderness that surrounds them. Care for house and connection to community grow into responsibility to place and land. Without preaching ecological values, the village cleanup effort improves locals’ living conditions and economic opportunities while encouraging them to embrace the area’s remarkable natural surroundings. 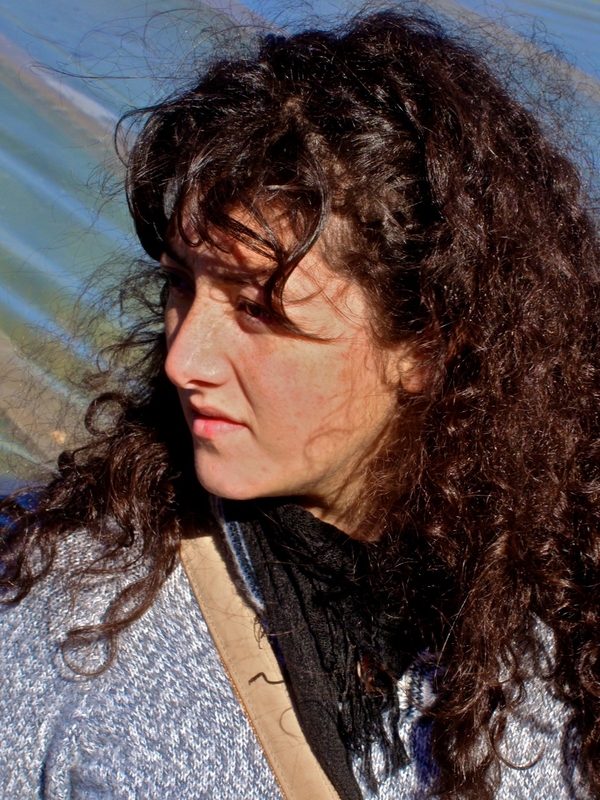 Young architect and El Amarillo native Marcela Ojeda has spearheaded the project to beautify her village. We talked recently during a tour of El Amarillo about the project’s history and impact. Q. How did you meet Doug and get to know the Pumalin project? I grew up right here in El Amarillo, and my parents run a simple bed and breakfast here. 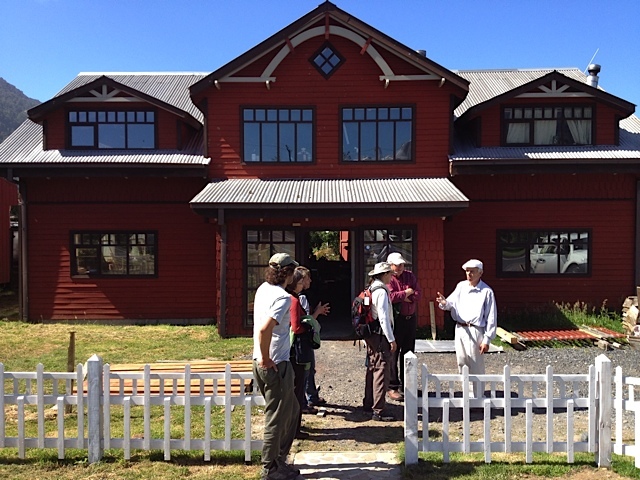 When the Pumalin team started working in the southern part of the park in 2002, they needed a place to stay, and so started coming to my parents’ place. One day, Doug stopped in to chat with my parents, and heard that I was studying architecture at university. Knowing we had a resident architect-in-training, he started planning out a village beautification effort. Ale Retenal, a long-time Pumalin team member, hired me to work over the summer of 2005 while I was in school. Q. How did the first years of the project go? As we started developing the idea of this project, we did not want to start with my parents’ house, because that would seem biased. Some were hesitant to work with us initially, because they did not understand why we’d help them fix up their house. However, our neighbor across the street offered her house as the “pilot project”—more because she knew and trusted my family than because she agreed with the project. 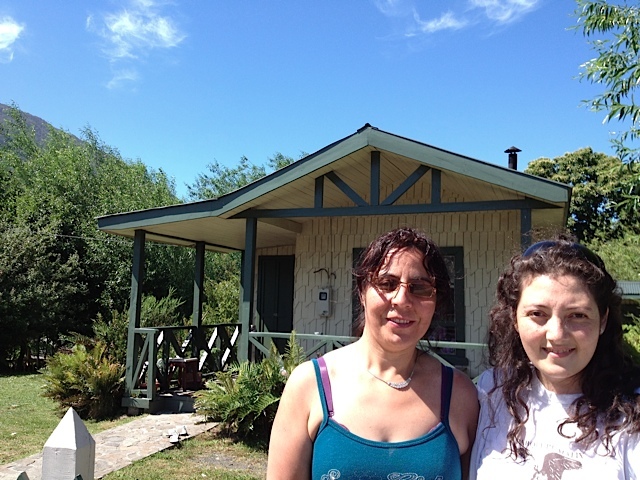 We painted her house, built a new fence, did landscaping work, built a new shed, and more. Once others saw the transformation, they became more open to the idea of the project. For the first year or two, I spent a lot of time talking to various families about the project, to minimize suspicion and find new people to work with. With each family who joined the project, I would talk with them about what color paint they wanted, what sort of fence, ideas for landscaping, etc. I give suggestions and ideas: usually people want advice on what colors look best together and what fence style would fit their property. Gradually, convincing people has become easier and easier, to the point that now, we have a long list of people waiting for us to help them out. We’re working as fast as possible, but almost everyone wants help! There are only so many painters around El Amarillo, and only so many sunny days, so there is a limit to how much we can accomplish each season. Q. 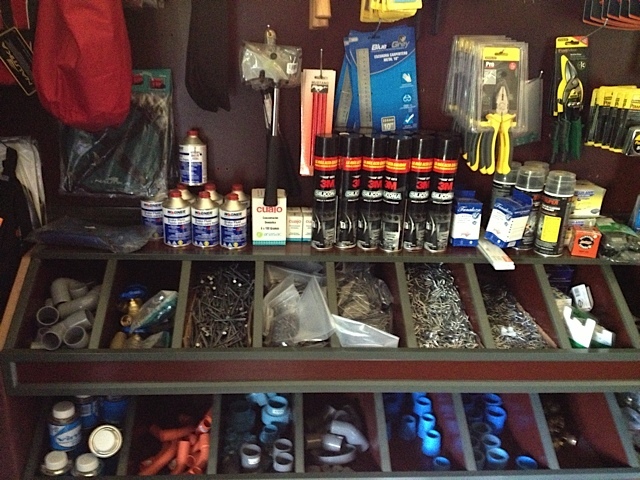 Describe one of the fix-up jobs you’ve worked on. 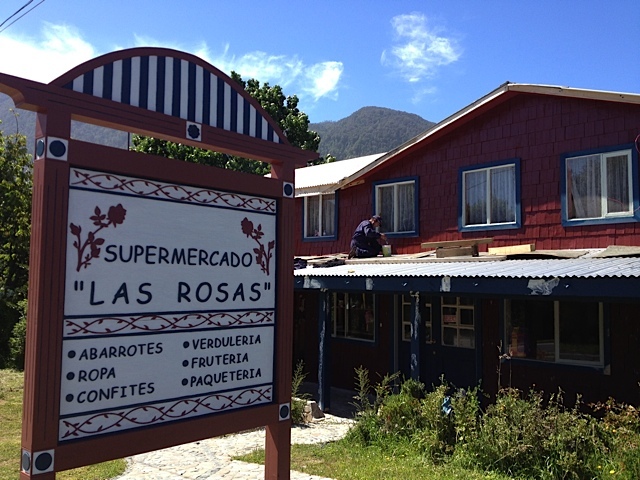 One of my favorite jobs has been the clean up of Supermarcado Las Rosas, a simple market with some rooms for tourists upstairs. The woman who runs it is old and sickly, and has to take care of several grandchildren, all by herself. Her business was struggling, as the structure was ramshackle and not very appealing to tourists, and she had no other means of supporting herself and her family. We gave the building a dramatic facelift: improving its structural integrity, cleaning up the inside to give the family better living conditions and offer better accommodations to tourists, and painting it a bright, cheerful red with blue trim. When Doug and I visited her last fall, she came out crying, telling us how much we had changed her life, and how much she enjoyed working with our crew. Not only did she appreciate the fix-ups to her house, but she also savored the help and friendship of the workmen from our team who spent time with her. She told us that she would never have had the money or energy to do the remodeling herself, but that she and her family would do their best to keep the building in good shape going forward. Q. 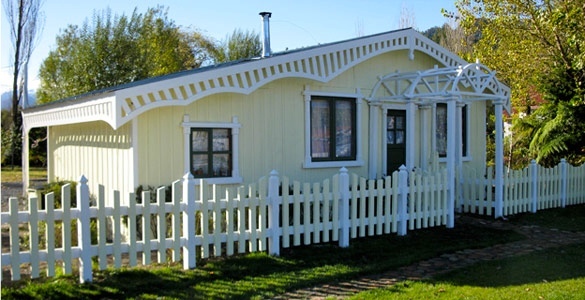 How would you describe the architectural style of the town? 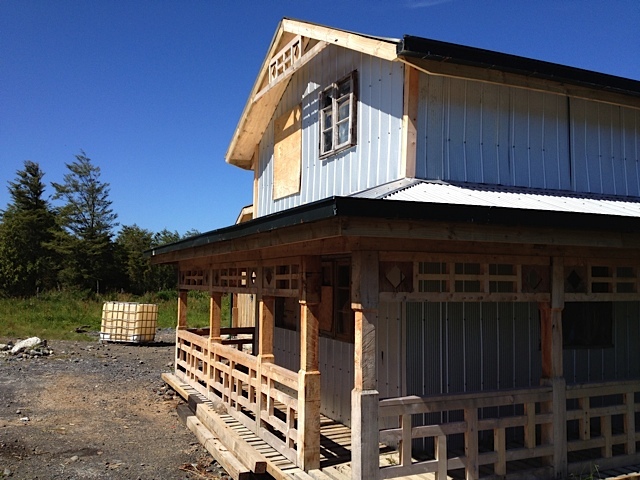 Our goal was to use a vernacular style here that fit with pre-existing buildings and used familiar materials. 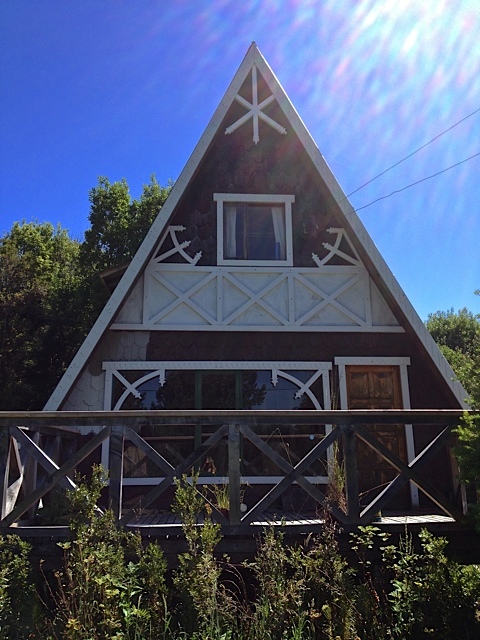 We’ve developed “chirimbolos”—architectural details that add a touch of decoration and style to simple structures. 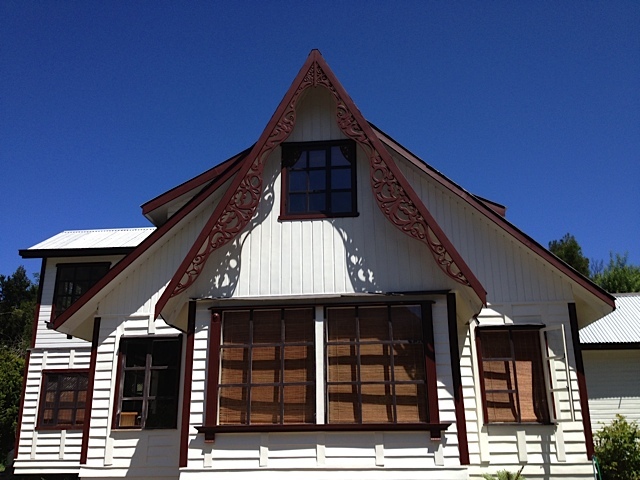 Our sign shop, headed by the inveterate craftsman Dante, creates wood detailing that really spruce up the houses. Each house has a slightly different style, but they are variations on a theme. I enjoy working with corrugated tin, because it is so typical in this region. Some architects might look down on it, but it is functional and durable, and when used correctly, can be appealing as well. Finding a style that is inexpensive and accessible to our neighbors is an interesting challenge, but a fun one. Q. What have been the biggest results of the project? Cleaning up the town has changed the outlook of the community. There is much more recognization of the beauty we live with, and sense of opportunity in our location. Moreover, our neighboring towns would like to imitate what we have done. We just had a visit from a man from Puerto Cardenas, south on the Carretera Austral, who wants to start a similar town fix-up there. El Amarillo is now the pride of the region, instead of a forgotten little town. As an architect, it’s inspiring to see how changing the physical appearance of a place can change its spirit as well.